2019 double CD release featuring 74 minutes at the Wurlitzer organ and 74 minutes at the Hammond. Two and a half hours in total! February 2019 double CD release featuring 74 minutes at the Wurlitzer organ and 74 minutes at the Hammond. Two and a half hours in total! 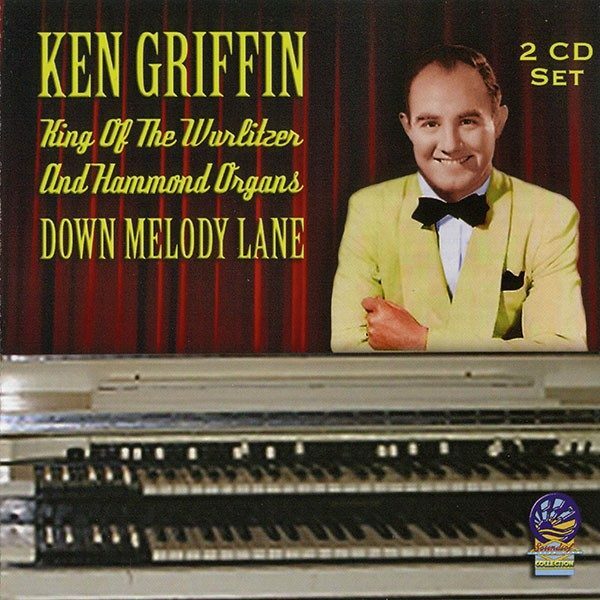 Although some fans want everything Ken Griffin did, many prefer the Hammond, so this compilation aims to satisfy both camps. 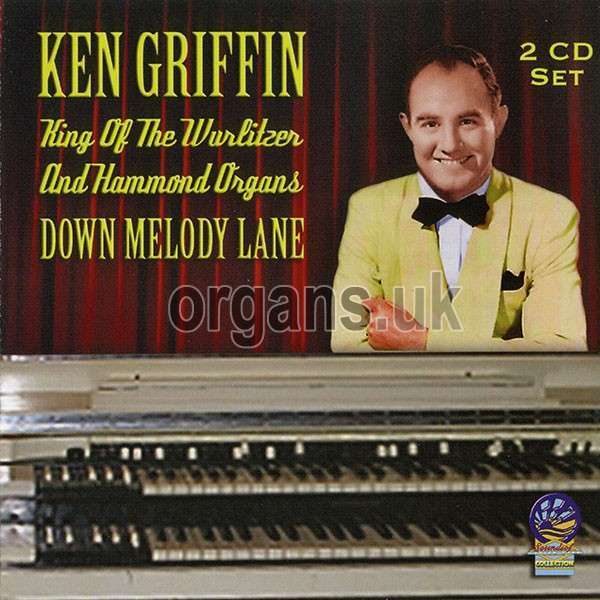 The Wurlitzer electrostatic reed organ used in the TV show had not been fully developed at that time and although it appears that Ken had signed a contract to make future recordings exclusively on the Wurlitzer, we can’t help wondering if this was a wise move. That instrument, unsurprisingly, seems not to have been the success for which Wurlitzer had no doubt hoped and they fairly quickly turned to making a true electronic instrument – somewhat too late it would appear. However, one thing which Wurlitzer produced – and Ken uses on a couple of the disc one tracks – was the ‘Sidesman’ automatic percussion unit, which was very good. It impressed Ken and he used it on some of his Hammond tracks for Columbia as well. As on our previous issue (“The Wizard Of Chicago” on DSOY919) we’ve included some of Ken’s own compositions, among which are, Why Did You Break My Heart?, Black Beauty March and Symphony In 3/4 Time. There’s an interesting story behind The Waters Of Minnetonka. It was copyrighted by an American tutor who lived among native Indians for many years, but he picked it up from one of the women singing – Ken got a realistic sound of rippling water which makes it interesting. This track is a Rondo recording all the others are Columbia. The piano gets an almost solo-performance in Oh, How I Miss You, Tonight and we have a couple more of those superbly played river items – can there be a piece played with greater feeling than By The River Sainte Marie? And then he almost fools us into believing that all the guitar sounds come from his accompanist in King’s Serenade. Listen carefully to the part where it has the muted echoing effect – although the real guitar is still in the background It’s primarily the Hammond and you hardly notice where it’s taken over from the guitar. Very neat! There are many other delights here right down to the final So Long – for, Ken Griffin, it was good to know you! …Tony Nobbs, 2018 (With thanks to Alan Ashton and Bill Reid).